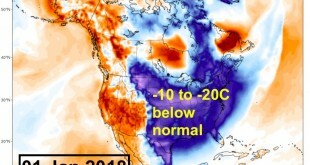 Home / News / YHZWeatherGuy / Warm Fall: Now Winter Starts? 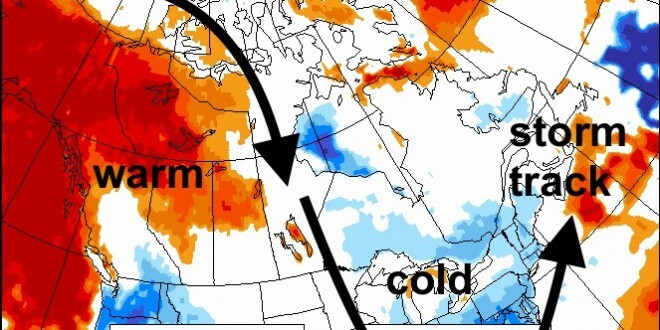 The Fall as a whole was quite warm, given the very warm September and October (see my posts for Oct and Sept). 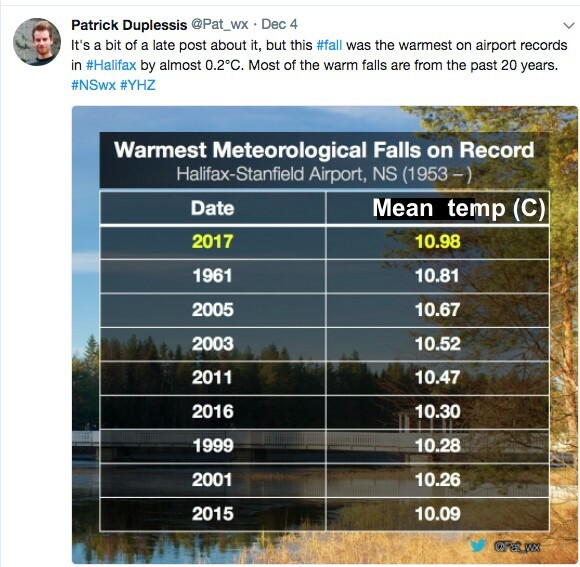 In fact, 2017 was the warmest Fall ever at Halifax Airport (note that meteorologists define Fall as Sep, Oct & Nov for climate purposes). 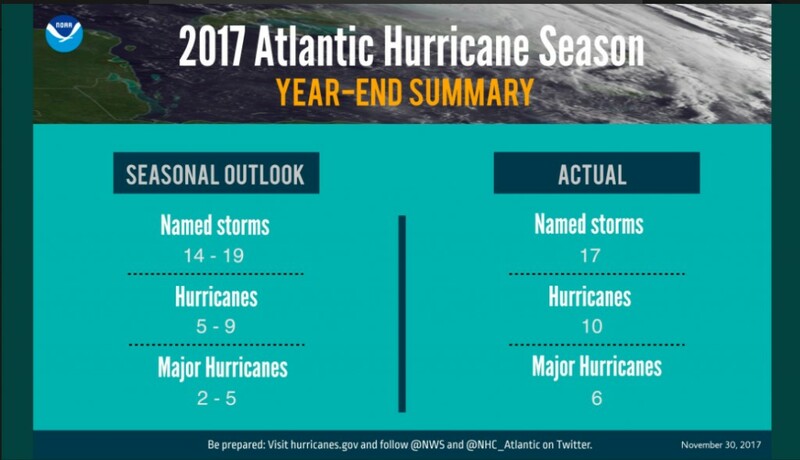 Even more remarkable was the intensity of the hurricane season, with devastating hurricanes affecting the Caribbean and the USA. 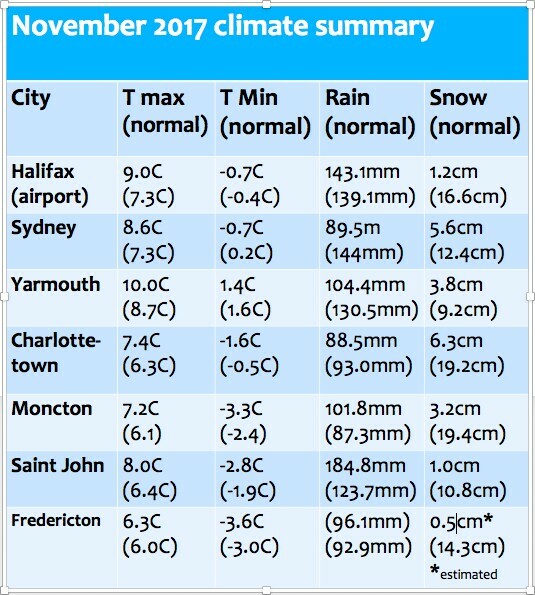 Atlantic Canada was indeed fortunate that we missed the worst of these storms. 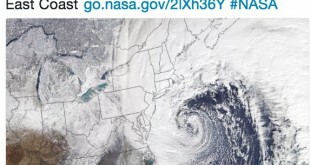 Even Ireland and the UK was hit (Ophelia). 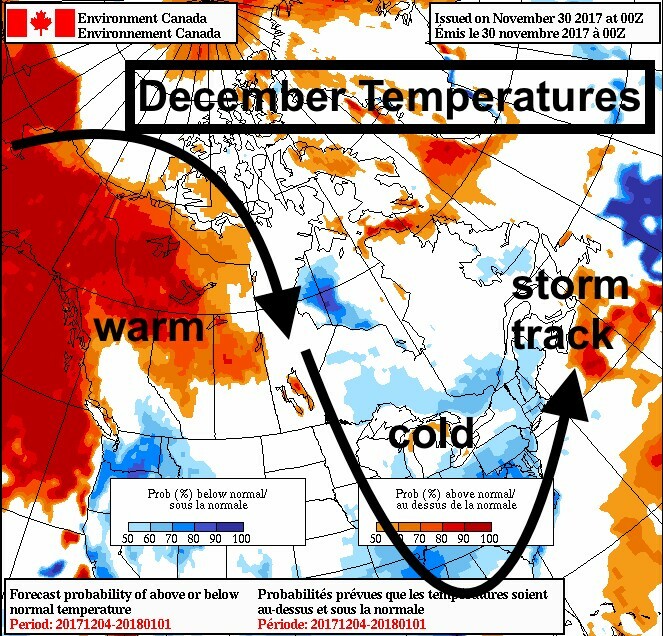 Looking ahead to December, the pattern has changed: a warm ridge over western Canada and a cold trough to the east. 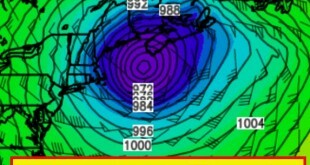 This pattern will result in systems tracking over, or to the south of the Maritimes. This results in all areas being close to the rain-snow boundary. 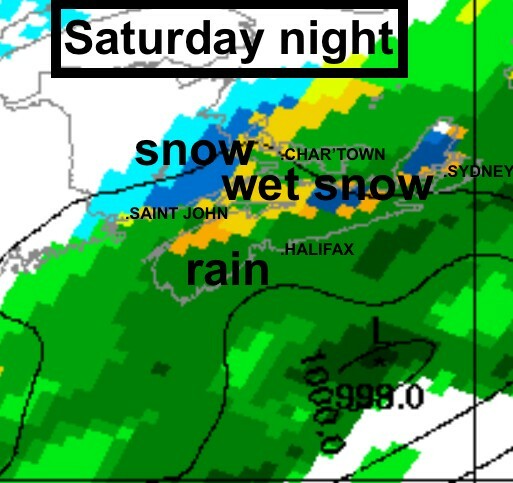 For example, the map for Saturday night may be typical of what we can expect for the next few weeks. 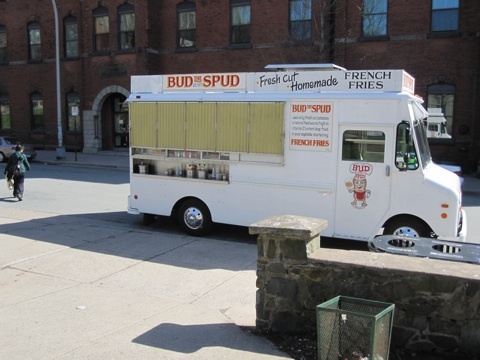 Photopool: Warm weather = Bud The Spud!